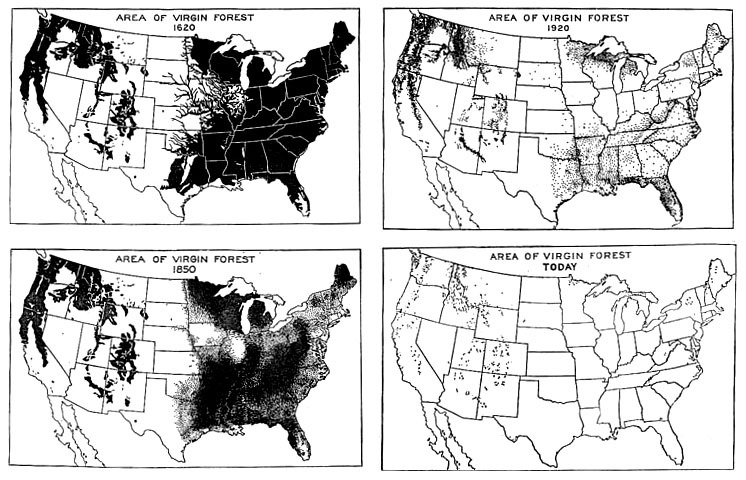 ALMOST ALL OF AMERICA'S ORIGINAL FORESTS. OR A COMMERCIAL TREE FARM. GOING BACK THOUSANDS OF YEARS. ARE EITHER NEW FORESTS OR COMMERCIAL TREE FARMS.